What is a Post Implementation Review? A post-implementation review or a post-project review is conducted after the completion of a project. It is a process to identify if the project was successful by evaluating how effectively the project was managed if the objectives and goals were met if the project was within scope and budget and to capture lessons that can be referenced for future projects. Elements of lessons learned are one of the best ways to improve the planning and management of future projects and to ensure the same mistakes are not repeated. A post-project review usually involves an independent third party which can determine in an unbiased manner about how the project was run. It looks at whether the project produced the desired deliverables within the given timelines. It also documents the overall achievements in the post-implementation review report. When to conduct a post-implementation review? 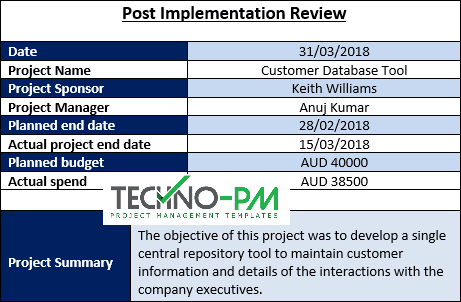 A post-implementation review is the last step of the project cycle and the best time to conduct it is between 1 to 6 months after the project has completed. Conducting a timely and thorough PIR is essential to identify lessons learned and previously unidentified gaps. This will in turn help in making final improvements to the system being implemented. How to conduct a post-implementation review? To get the most from the post-implementation review process, it is essential to ensure you have the right audience in the room. Having people in the room who are not directly related to the project, will not help. Key members from the project team .i.e. the sponsor, business owner, project manager, SMEs, etc. should participate in this process. It is essential to take into consideration each person’s point of view as each will have valuable insights to offer. Start off by asking the audience what worked well. Starting the discussion on a positive note is helpful as most people will have an answer to this question readily available. Document the responses which will give them an opportunity to reflect upon the list and come up with any additional things they can think of. Next, follow it up by What didn’t work or what went wrong?. Again documenting the list is essential to enable the participants to reflect on the contents of the list to see if anything else can be added. Project Name: Name of the project completed and under review. Project Sponsor: Individual who funded or sponsored the project. Project Manager: Individual managing the project. Date: Date when the post-project review is conducted. Planned project end date: The expected end date of the project. Actual project end date: The actual end date when the project is completed. Planned budget: The original budget that the project was expected to be completed in. Actual budget: The actual costs of the project. Project Summary: This section provides a summary of the project which was completed. The summary should give sufficient details of the project to help get a complete understanding of what the project is about. It is essential to provide adequate and accurate information on the project scope and background as the rest of the document regarding what went well with the project and what went wrong and provide lessons learned for future use will be based on the details in this section. Project Team: This section provides details about the project team. This usually includes the names, project role and contact details. This information is particularly useful in case someone would like to obtain additional information on the lessons learned from the project. 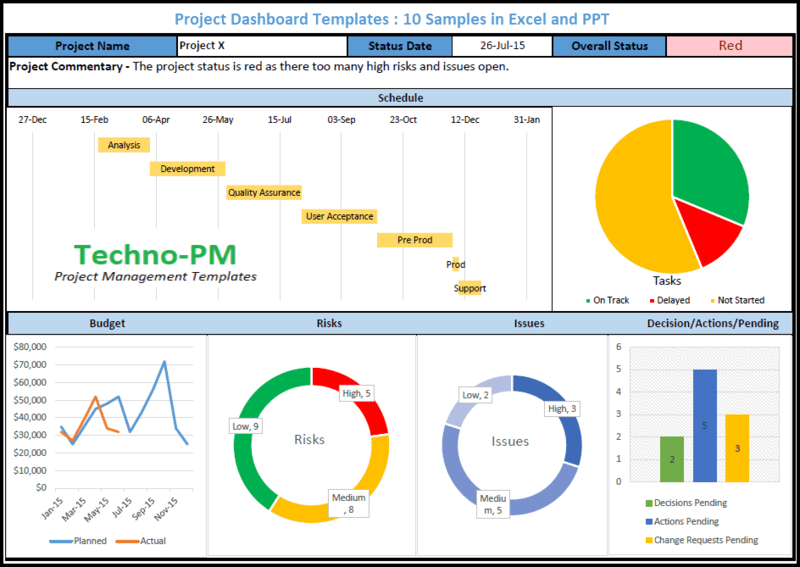 Project Deliverables: This section mainly compares the actual outcome of the project against the planned deliverables. This helps to determine if the project has completed as per planned and would also highlight any instance of scope creep. Transition to operations: This section describes the transition of the project to operations upon completion. Any challenges or issues faced during this transition should be listed here. Making a note of what went well in this section could help projects of a similar nature reference this document for best practices. Project costs: This section mainly compares the planned budget against the actual project costs. All factors related to costs should be considered like poor planning, schedule details, etc. This section should highlight if the costs were within budget or exceeded the budget and the appropriate reasons for the excessive spend should be clearly noted. 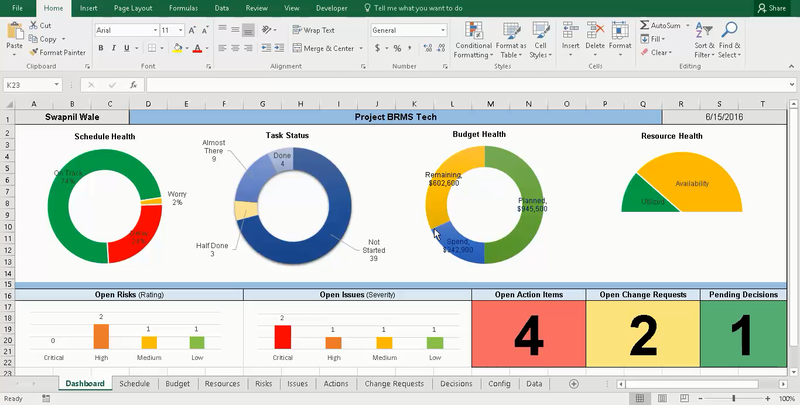 Project schedule: This section describes the project schedule and how did it perform against it. It should explicitly mention the reason which will help the audience better understand why the project was delayed beyond schedule or if it was completed early or on time. Lessons learned: This section consists of 3 subsections – What went well, what went wrong and what could have been done better. This section highlights any lessons learned and recommendations that can be referenced by a project manager and help avoid errors in similar future projects. 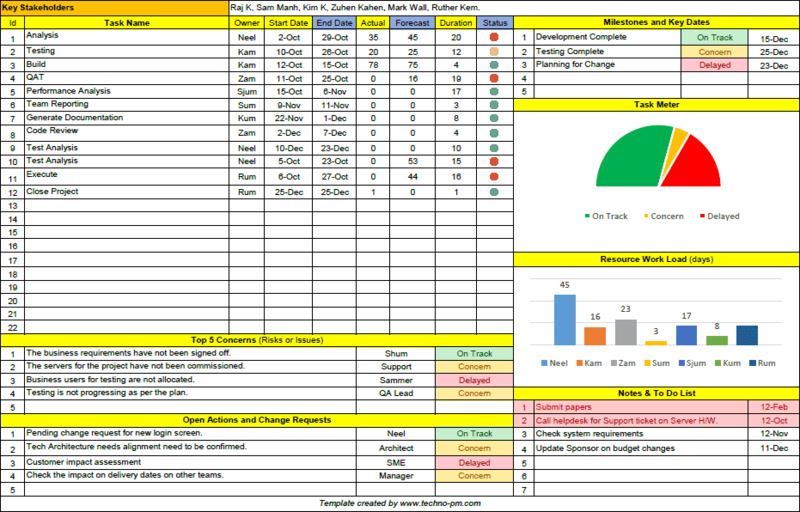 Follow up actions/Next steps: The lessons learned are followed by the next steps which mainly involves identifying remaining action items and following steps. Each item listed has a due date and an owner accountable for completion. Thus, a post-implementation review is a process of evaluating a project on its completion to determine and measure if it has been successful by identifying what went well, what areas need improvement and what could have been done better.